No much words need to emphasize how good ball bearing swivel is, anglers just lover them. With stainless steel balls loaded, they rotate without any limit and keep lines from twisting. 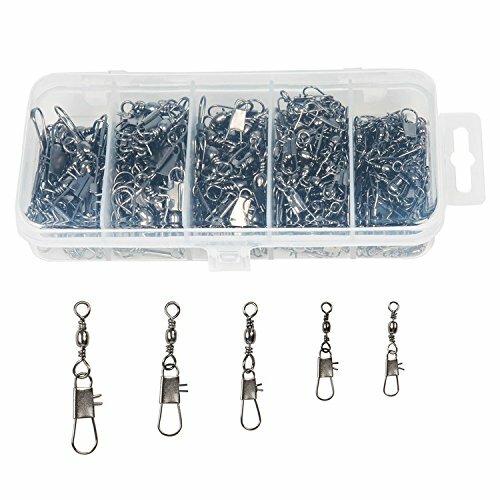 The snap help you changing lures in seconds even without re-tie. Size 0+0, means size 0 ball bearing swivel connects to size 0 coastlock snap, and so on. SMOOTH. 6 stainless steel balls loaded for smooth action, rotating without limit and reduce twist to minimum. RELIABLE. Excellent corrosion resistance, abrasion resistance and shock resistance. Approved for using in saltwater, high speed trolling, jigging, offshore fishing. Small size would work great for freshwater like bass fishing. RIGGED IN SECONDS. Quick lock-open design, change leaders or lures in seconds. Multiple size available range 30LB (13kg)-503LB (230kg) tested. Black Nickel Finished. STRONG. Swivel made of Copper Body with stainless steel welding ring. SMOOTH. Loaded with high-class stainless steel balls in the swivel housing, provide maximum protection against twisted and tangled lines. RELIABLE. Excellent corrosion resistance, abrasion resistance and shock resistance. Approved for using in saltwater, high speed trolling, jigging, offshore fishing. Small size would work great for freshwater like bass fishing. Available in multiple size range from 33Lb to 507Lb. Choose your desirable size from drop-down box. Pack of 20. High value for price. STRONG. Swivel made of Copper Body with stainless steel welding ring. SMOOTH. Loaded with high-class stainless steel balls in the swivel housing, provide maximum protection against twisted and tangled lines. Great for all king of fishig and hunting, gardening, art purpose and any where need a spinning connecto. Features: 1. Flexible rotation, not easy to wind around the fishing line. 2. Could be connected to any hooks and fishing rod, as well as soft bait and solid bait, strong tensile strength, adapt for different kinds of fishing. Description: Material: Steel with nickle coated Type: Barrel Swivel with Safety Snap Quantity: Total 200pcs/Box Size & Quantity & Lagre Test: #2: total length: approx 4.6cm / 20pcs / (15kg) #4: total length: approx 4.5cm / 20pcs / (14kg) #6: total length: approx 4.2cm / 30pcs / (13kg) #8: total length: approx 3.4cm / 60pcs / (9kg) #10: total length: approx 3cm / 60pcs / (8kg) Note: Please compare the size information carefully before you purchase it. 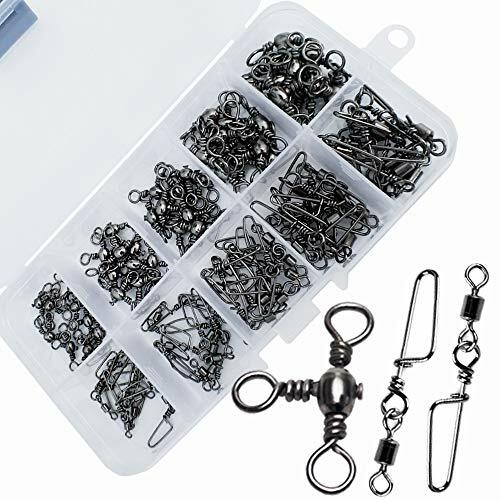 Package included: Total 200PCS fishing swivels connectors 1 X Plastic Box ATTENTION: This set contains small and sharp parts, please be careful during the use and KEEP OUT OF REACH OF CHILDREN! 3. Quick Connect: The connector snap can quickly connect a variety of fishing hooks, high speed trolling, jigging, offshore fishing. 4. Could be connected to any hooks and fishing rod, as well as soft bait and solid bait. 5. 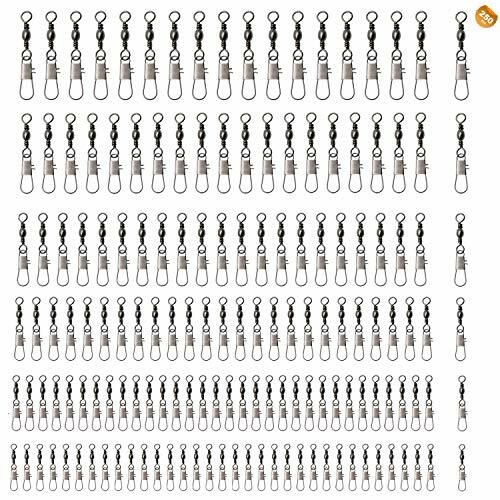 Total 200pcs fishing swivels connectors in a reusable plastic box, included #10(60PCS), #8( 60PCS), #6(30PCS), #4(30PCS), #2( 20PCS). STRONG. Mainly made of stainless steel, sturdy constructed, ensure high strength. DURABLE. With Nickel plated, extra corrosion resistance and abrasion resistance in addition to the stainless steel core. EFFECTIVE. Light and small, inherit flexibility without compromising strength. Deliver ultra-smooth rotation and minimum twist. Z-Man Fishing Finesse ShroomZ Jigheads are designed to be paired with the Finesse TRD, Finesse ShadZ, or Hula StickZ to create the perfect Ned Rig. The Finesse ShroomZ jighead sport a custom wire keeper welded onto the hook shank that not only makes rigging a breeze, but holds ElaZtech baits securely without the need for gluing. The unique keeper, coupled with the extreme durability of 10X Tough ElaZtech, creates a near bulletproof package that will fish-after-fish for hours on-end without the need for re-rigging. Ideal for Midwest-style finesse applications, otherwise known as the "Neg rig". Unique welded wire keepers design prevents baits from sliding down the hook shank. 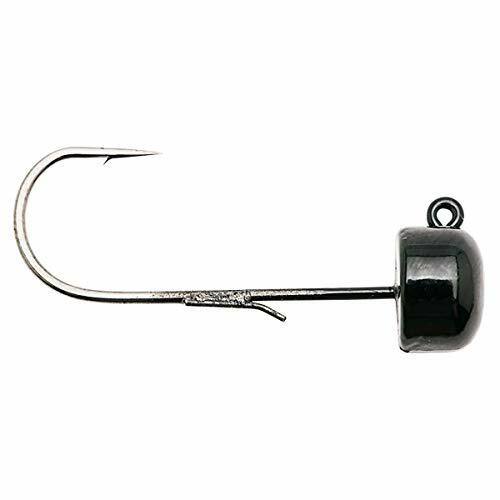 Super-sharp, premium black nickel hooks. Big size swivels approved for using in saltwater, high speed trolling, jigging, offshore fishing. Small size would work great for freshwater like bass fishing. SMOOTH: action, rotating without limit and reduce twist to minimum.Get more fish and have your line in the water longer instead of wasting time fighting twisted lines. STRONG: made of COPPER BODY with STAINLESS STEEL welding ring. Snap made of stainless steel with BLACK NICKEL plated. 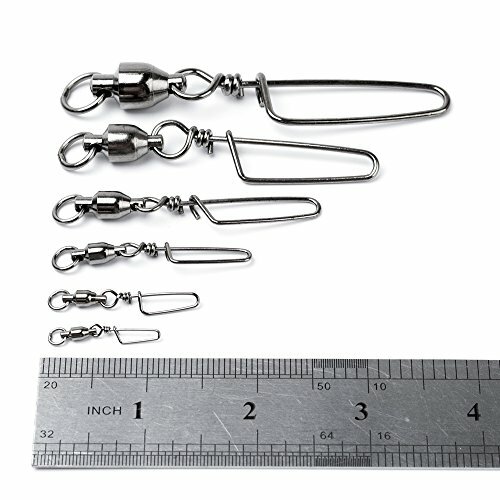 100pcs Fishing NICE swivel, size #1-#8(Small-Big). Approved for using in saltwater, high speed trolling, jigging, offshore fishing. Small size would work great for freshwater like bass fishing. QUICK lock-open design, change leaders or lures in seconds. Big-Small: #8-test:220lbs-1.9in, #6-test:110lbs-1.4in, #4-test:77lbs-0.9in, #2-test:55lbs-0.7in, #1-test:40lbs-0.6in. 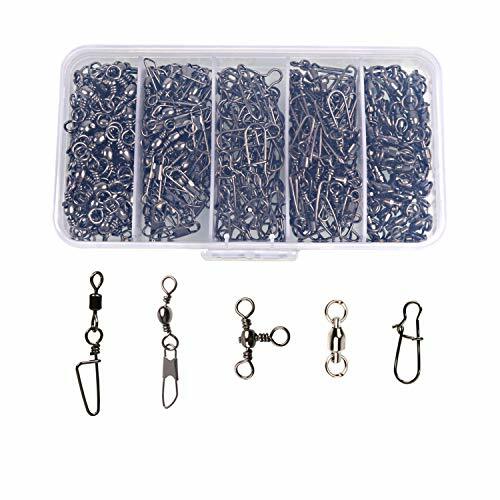 Ball Bearing Swivel 100% Copper Stainless Steel Welding Rings Super High Strength Saltwater Big Game Fishing Ball Bearing Swivels Fishing Swivel Connectors, perfect use for fishing or daily use. Flexible rotation. 3 ball bearings make sure the ring rotate smoothly and flexibly. Corrosion resistant, abrasion resistance and shock resistance. Polished surface to protect the fishing line. STRONG JSHANMEI Ball Bearing Swivels are made of copper body with stainless steel welding ring, solid and strong. 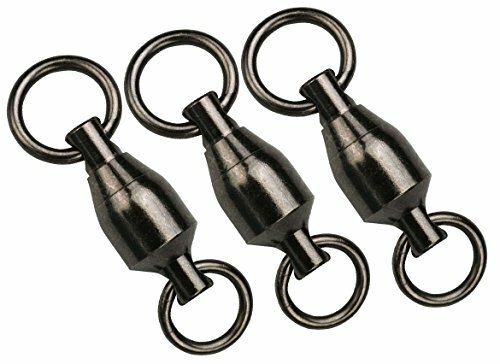 SMOOTH Stainless steel balls loaded for smooth action, provide swivels maximum protection against twisted and tangled lines. CORROSION RESISTANT Excellent corrosion resistance, abrasion resistance and shock resistance, tested for using in saltwater or freshwater. APPLICATION This fishing swivel connectors are good for various rigs and leader trace making. High performance in bass fishing, general freshwater and saltwater, offshore fishing. Also can be used in any situations where need a spinning connector. Greatfishing Stainless Steel Split Ring With Fishing Pliers. Value combo packing, five sizes available 5mm, 6mm, 7mm, 8mm and 9mm, 40pcs each size. In plastic box. 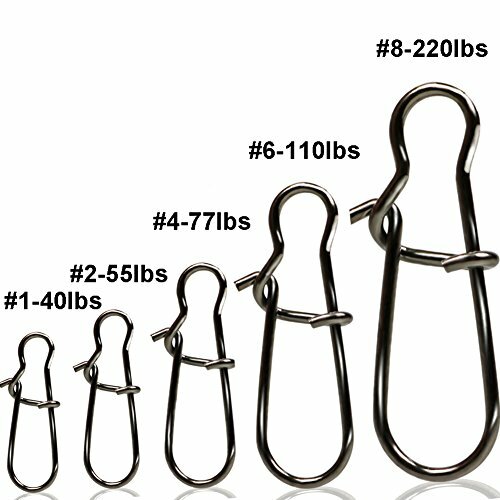 Strength from 30lb to 120lb based on different size. Multiple choice for any fishing situations. Made of quality 420 stainless steel, Corrosion-resistant and suitable for both saltwater and freshwater . Perfect for use on lures connect to hooks, rigs and leaders. Easy to attach to other components. Quality mini pliers not only for the split ring. It has ergonomically molded comfort grip handle. Stainless steel can be used for freshwater and saltwater. Only 5inch length. Super mini and light easy to be carried, and you can easy to change hooks and cut line during fishing. 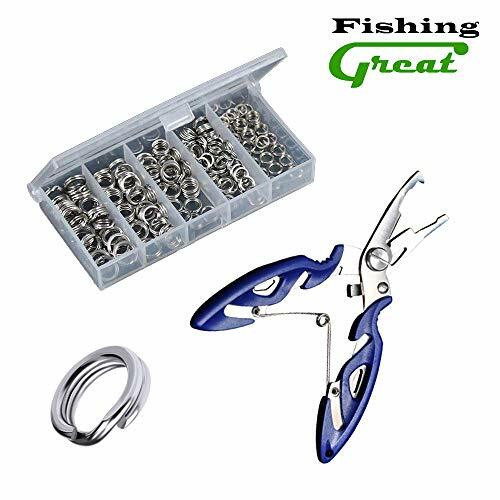 Greatfishing Stainless Steel Split Ring With Fishing Pliers. Value combo packing, five sizes available 5mm, 6mm, 7mm, 8mm and 9mm, 40pcs each size. In plastic box. 1. It includes almost the accessories you need to fishing. 2. Portable size for box, fishing backpack and fishing vest's pocket. 3. Useful accessories help keep fishing more efficient. 4. Also a gift for fishing enthusiasts. 5. For most fishing situations. 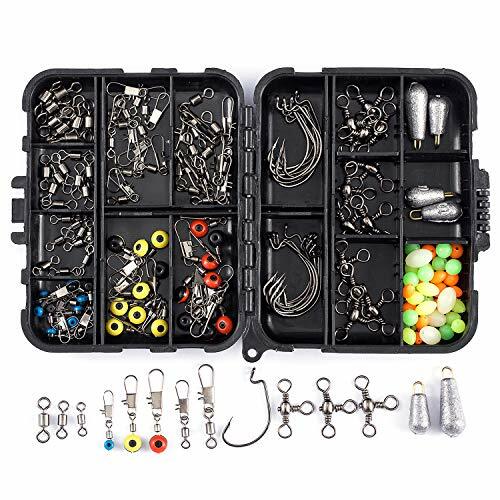 INCLUDED - The fishing tackle box set comes with 83-140pcs necessary fishing accessories: Fishing Hooks, Sinkers, Rolling Swivels, Three way cross-line fishing swivels, Fishing Line Sliders, Clip Connector and Fishing Beads etc. suitable for all sorts of fishing conditions. PICK IT UP - Bring it with your fishing trip, easily fits in your fishing seat box, fishing backpack and fishing vest's pocket, Make your fishing more convenient, no need to worry about gadgets. USEFUL - These Fishing accessories are designed to be used in freshwater or saltwater. Get more fish and have your line in the water longer instead of wasting time fighting twisted lines. SIZE - The fishing tackle is equipped with a compact box, two sizes for choosen, portable size and weight for carry besides wherever you go to fishing. SUPERIOR SERVICE - we provide Full 15 Month Worry-Free Warranty with Lifetime support! 24-hour customer service support, just purchase and enjoy this superior product with confidence and risk free! 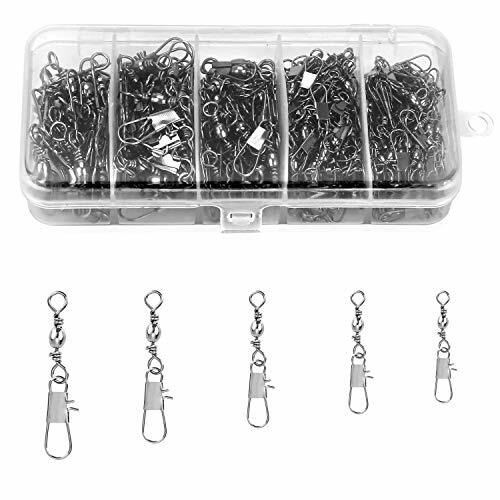 Why do you need the fishing swivels in your fishing tackle box? 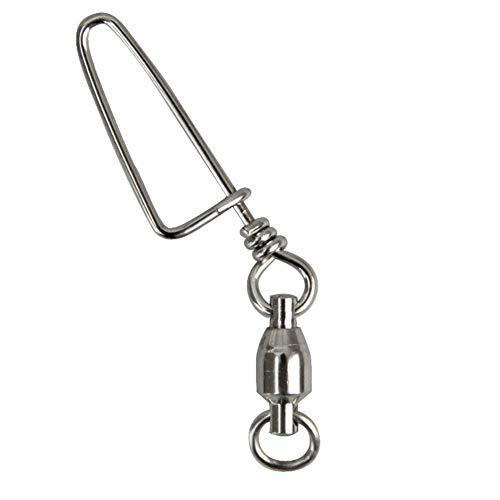 A fishing swivel is a small piece of fishing equipment frequently found in tackle boxes and is used, primarily, to connect terminal tackle the main fishing line. Available in a range of sizes, colors, and designs, swivels help keep fishing line from twisting and allow multiple pieces of tackle to be easily attached. While a useful device, swivels may introduce a weakness into fishing line. YONGZHI adhere to Amazon Return Policy. DO NOT put it on the place where children can take it easily. 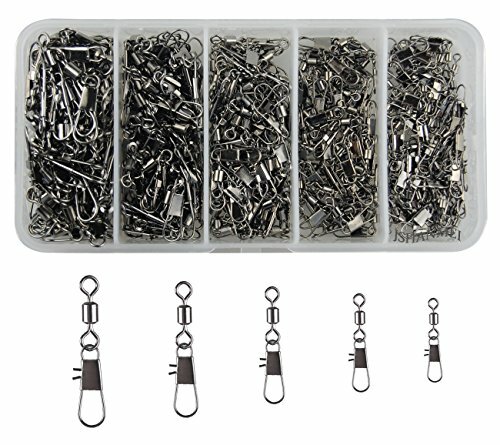 The fishing swivels set include 3-way swivel, Ball Bearing Swivels, fishing snap. It can meet your different demands of fishing bass in freshwater and saltwater. STRONG- Barrel Swivel Material: stainless steel with electroplating treatment,high strength,corrosion resistance,anti-shock,and anti-rust. SMOOTH-Flexible Rotating, Fish Swivel in the case of force can also be a flexible rotation, not hurt the fishing line and anti-winding. CORROSION-RESISTANT: extra corrosion resistance and abrasion resistance, great for saltwater, brackish water, and freshwater fishing. FAST ROLLING Fish Line Swivels, Deliver ultra-smooth rotation and minimum twist. Quality! 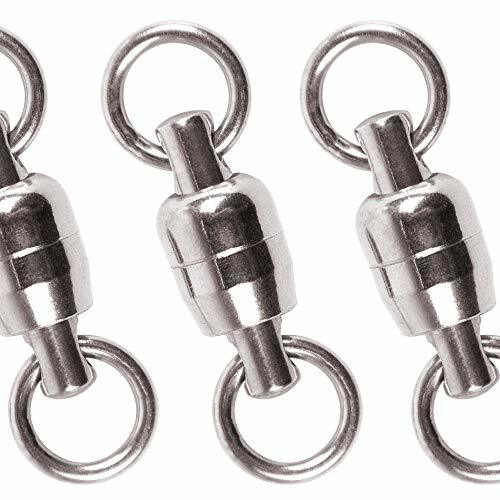 Ball bearing swivel with welded rings; coastlock snap of easy fastening design; made of coppery stainless steel of excellent resistance to corrosion. It is widely used as fishing terminal tactical as well as kite connectors of string and kite bridle. Coastlock snap is easy to open and lock, due to which, changing lures in seconds without re-tie are realized. SMOOTH with BALL BEARING! The swivel has ball bearings sealed inside to minimise any friction and allow the swivel to rotate freely, which prevents fishing / kite line from twisting when loaded. Test strength of 100lb for 4#, 150lb for 6#, 200lb for 8# provide great strength. Please choose appropriate size to match large kites / big fish angling. 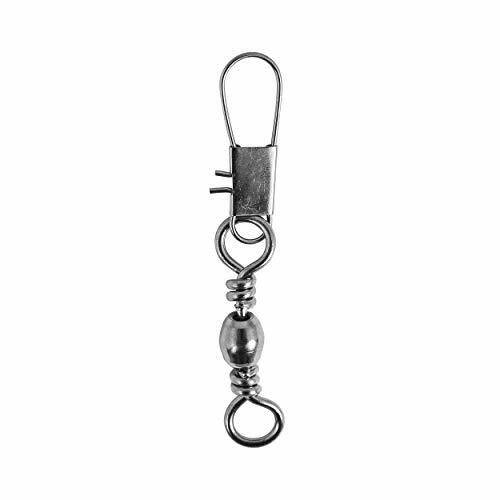 If you are a fishing lover or enthusiasts, you can not missing DE snap swivels. It is well made, high quality metal with plating treatment, not easy to resistance and not rusty. The snaps rotating smoothly, and functionly avoiding to line winding, reduce your fishing work. Its light weight do not add weight to fishing line. Featured with high strength,widely use in sea fishing. Large quanity and great price and functional, you can use for quite long time. Material:Excellent metal material with electroplating treatment, high strength,corrosion resistance,anti- shock,corrosion resistance and anti- rust. Quick Connect: The connector snap can quickly connect a variety of fishing hooks, explosion hooks,easy to use for sea rod fishing method, string hook line group. Size: DE #7 B fishing swivels connectors, length about 38mm. Be noticed that it may small than your expected, please purchase with cautious. Riptail Barrel Swivels are a necessity with high speed trolling, jigging and offshore fishing. 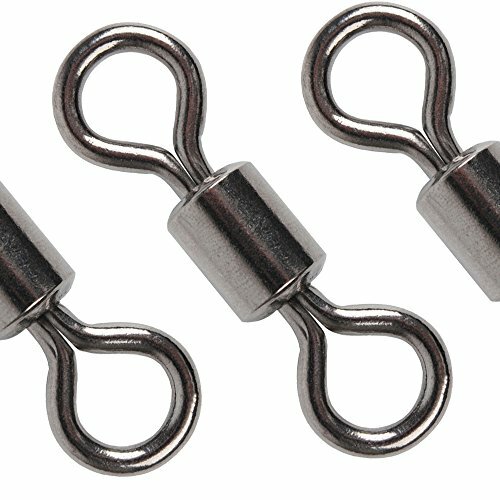 Crafted with high-grade steel, these durable swivels are known for their exceptional reliability in fresh or saltwater. Every swivel features a barrel swivel on one end and a reliable interlock snap on the other. The barrel helps keep the line free from tangles and prevents lure presentation from being hurt by coils in the line. The interlock snap makes it easy to change leaders or lures in a matter of seconds. 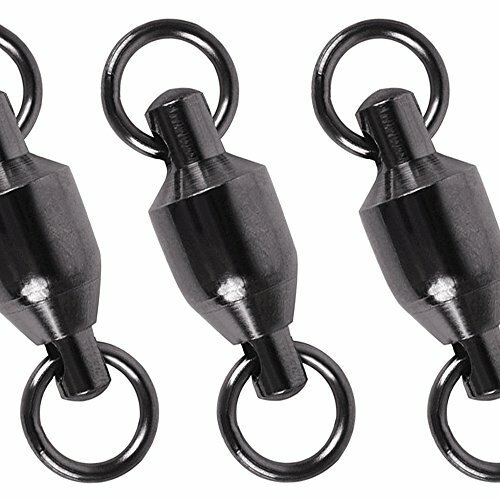 Riptail Barrel Swivels are available in multiple sizes to accommodate any fishing situation. Choose from 25, 50 or 100 packs and anywhere from 10-130lb. Order yours today and enjoy smoother fishing throughout any conditions. Note: Please compare the size informationcarefully before you purchase it. Total 250 pieces and come with 6 sizes. The package included #2(30pcs), #4(30pcs), #6(40pcs), #8(50pcs), #10(50pcs), #12(50pcs). Weight Test from 12kg to 26kg. High quality material made of copper and stainless-steel witch electroplating treatment black nickel plated, sturdy constructed, ensure high strength. These swivel in the case of force can also be flexible rotation, not hurt the fishing line and anti-winding. The surface is smooth, flexible rotation, not easy to wind around the fishing line, keep you away from wasting time fighting twisted lines. They have super pull and not easy to break when you get big fishes. Easy operation ideal for various rigs and leader trace making and high performance in bass fishing, general freshwater, saltwater, onshore fishing and offshore fishing. Lock snap fishing connector are stronger and durable than normal ones, perfect for using in saltwater, high speed trolling, jigging, offshore fishing. Small size would work great for freshwater like bass fishing. 360 high speed rotation fishing snap swivels, imaging your fishing lure swim like real fish. Attacking more fishes without fishing line twist. 100% Copper + Stainless Steelwith Black Nickle Coated. High Strength, Excellent Corrosion Resistance, Abrasion Resistance and Shock Resistance. Approved for Using in Saltwater or Freshwater, High Speed Trolling, Jigging, Offshore Fishing. and Would Work Great for Freshwater Like Bass Fishing. There is a full purchase price refund within 30 days of your purchase if you are not happy for any reason. 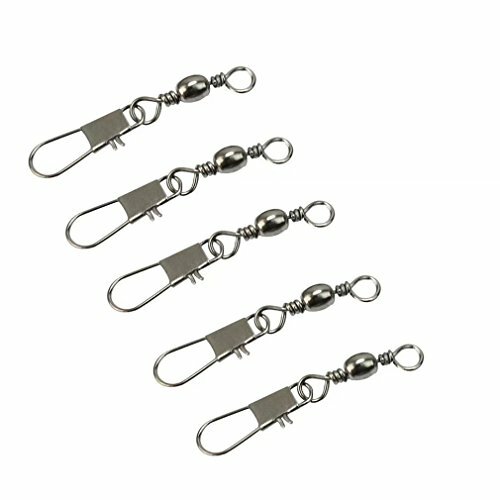 After 30 days, If Any Problem About the Fishing Swivel Snap, Please Contact Us Firstly and Our Customer Service Will Solve It for You At Once. FLEXIBLE ROTATING: Swivel in the case of force can also be flexible rotation, not hurt the fishing line and anti-winding. MATERIAL: 100% Copper + Stainless Steelwith. high strength,anti-shock,and anti-rust. RIGGED IN SECONDS. Quick lock-open design, change leaders or lures in Short time. MULTIPLE SIZES: Five sizes are available for different fishing occasions. 100pcs in a Box, Box Size: 5.12*2.56*0.9in. 1. Flexible rotation, not easy to wind around the fishing line. 2. Could be connected to any hooks and fishing rod, as well as soft bait and solid bait, strong tensile strength, adapt for different kinds of fishing. Note: Please compare the size information carefully before you purchase it. This set contains small and sharp parts, please be careful during the use and KEEP OUT OF REACH OF CHILDREN! Material- Excellent metal material with electroplating treatment, high strength,corrosion resistance,anti- shock,corrosion resistance and anti- rust. Flexible Rotating- Swivel in the case of force can also be flexible rotation, not hurt the fishing line and anti-winding. Quick Connect- The connector snap can quickly connect a variety of fishing hooks, high speed trolling, jigging, offshore fishing. 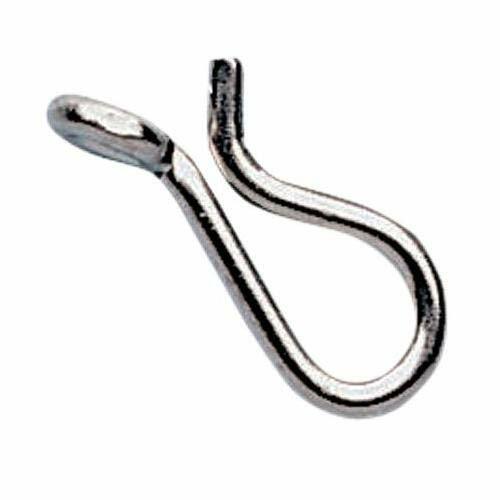 Widely Used- Could be connected to any hooks and fishing rod, as well as soft bait and solid bait. 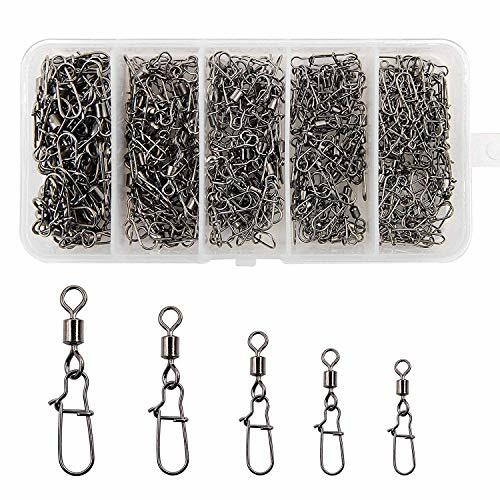 Multiple Sizes- Total 200pcs fishing swivels connectors in a reusable plastic box, included #10(60PCS), #8( 60PCS), #6(30PCS), #4(30PCS), #2( 20PCS). 100% Stainless Steel Construction. Improve strength by 20%. Dual Spinning welding rings and 6 Stainless Steel Balls loaded provide zero twist. Long lasting flawless performance on freshwater and saltwater. Advanced polished and smoothen surface treatment, zero harm to line and lure. Change hooks, jigs, lures or flies in just seconds with the No Knot Fas-Snap and enjoy more time fishing. The innovative, lightweight No-Knot Fas-Snap is designed to be tied directly to your tippet or mono line. 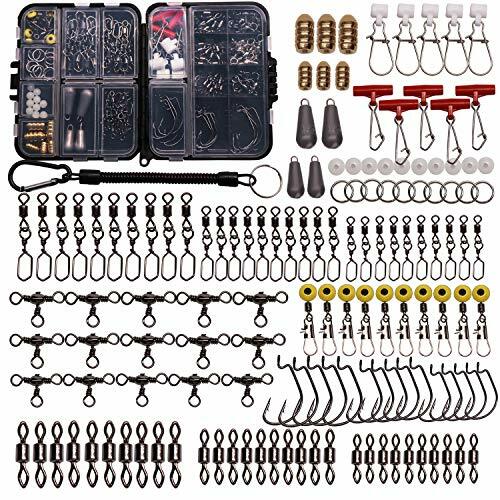 The Bassdash terminal tackle kit is the perfect gift for the beginners or novices or the kids to help them on their way to what will become a lifelong passion for fishing our pristine waters. Loaded with a fair array of terminal tackle there is enough kit here to try your hand at a whole bunch of techniques.